You don’t see that happening to Elizabeth! Oh wow. The Belly of the Beast. With all the micro-detailed security, someone missed that. 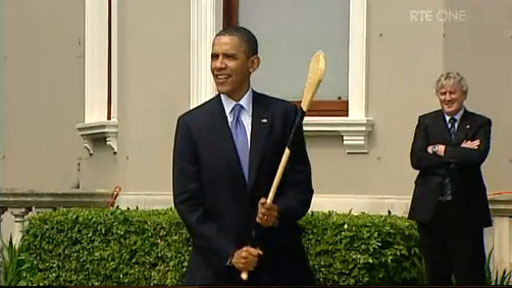 There’s No-one More Irish Than Barack Obama! Is this a viral internet sensation yet? It’s much worse than that Friday song. I think the Secret Service had those people killed.